Gear up your chic quotient this festive season, with the help of decorative detailing. Clasps, floral bands, ribbons, bows, hats headbands, neon snap clips. Here are a few ways to wear them for the coming festivities. Choose a headband that is elasticated. Dry the hair with a flat brush and place the headband overhead, from one side gradually tuck hair into the elastic at nape area of headband only. Go for headbands with polka dots/geometrics/floral prints to keep the look retro aesthetic. The diffused volume texture keeps it contemporary. 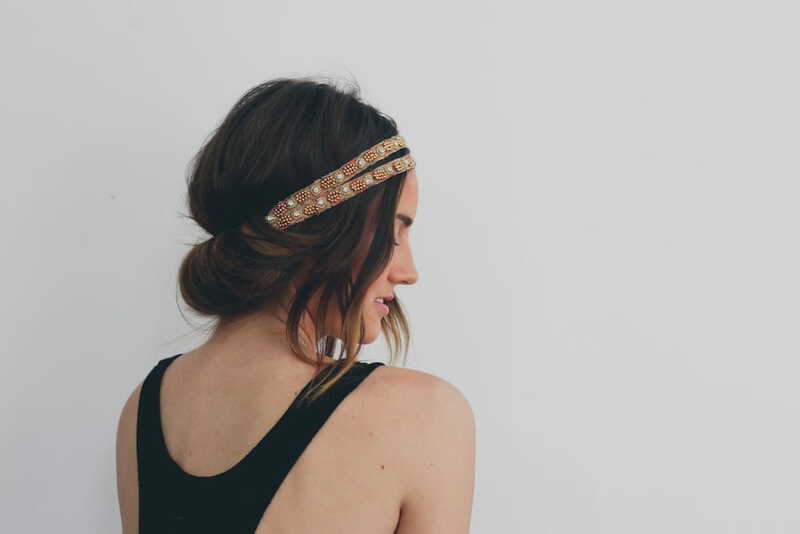 This is a great evening or day look depending on the choice of headband used. 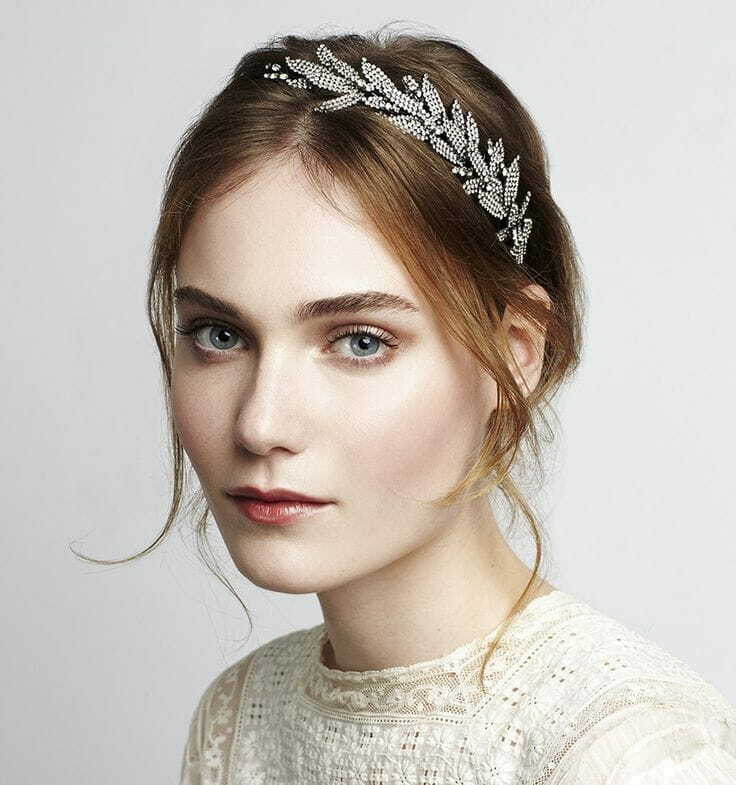 The hair is given a paddle brush straight blowout, then set off with an ornate headband. 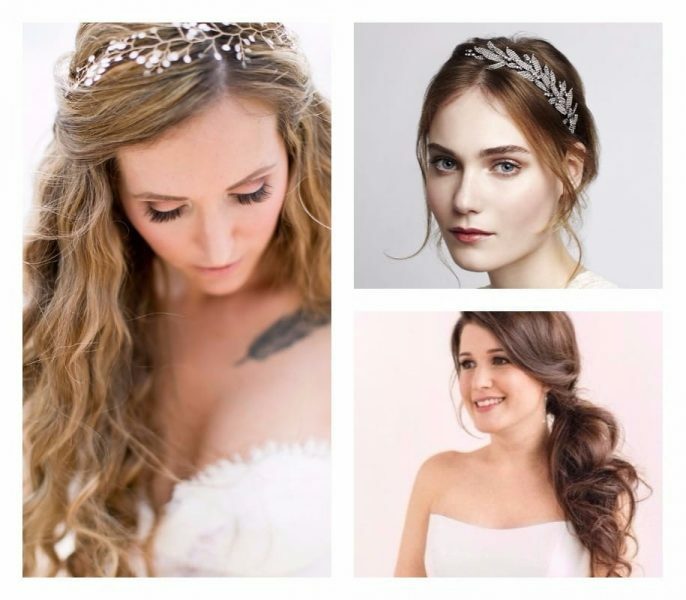 Wear it with open hair or a hair bun. If you want to send out a sea, sand and sun-kissed vibe to make sure the hair is prepped to do so. Applying Nut oil infused Serum after shampoo and conditioner give the hair a glossy healthy reflect when the sun rays hit. It prevents drying of the tips too so it’s an added value must! You can dip a wide-toothed comb in mousse and run it through the hair. Use large tongs to work out a loose wave. Finger break the waves, scrunch and texturize with sea salt spray. A low ponytail that works its way to lying over the shoulder is a chic festive look that is both simple to do and effective. Using a flat iron straighten hair and defrizz. 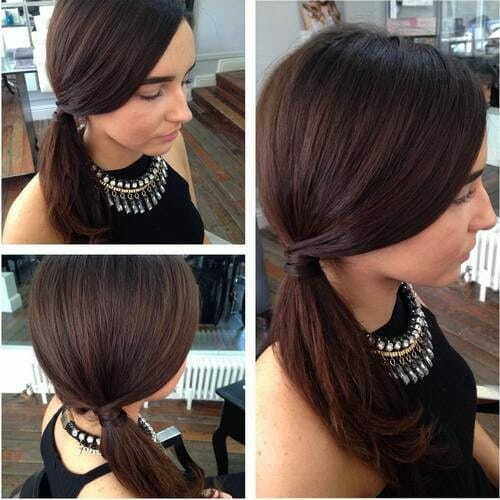 Bring hair over to one side and make a ponytail. Slide over some Macadamia Nut Oil enriched serum on the ponytail to streamline fly aways. Cover the band with a section of hair taken from the back of the ponytail. Ranveer Singh's Intense Look From Padmavati Is Just Breathtaking!